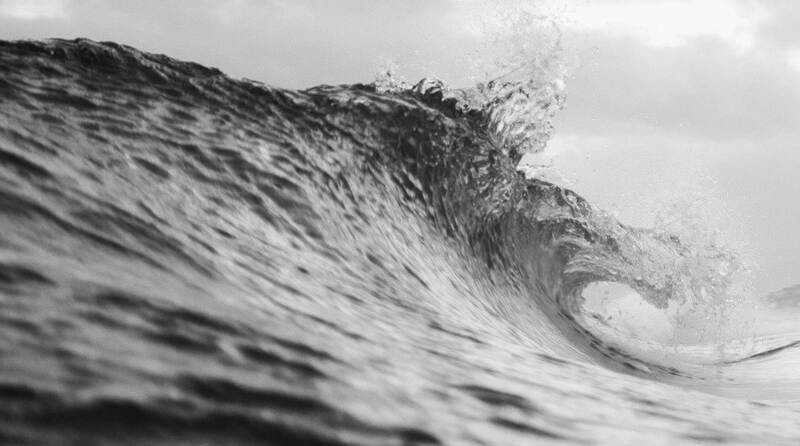 The Gulf of Mexico faces multiple stressors that impact the region’s well-being, including degradation of wetlands, seasonal “dead zones,” declining fisheries, and the impacts of the BP Deepwater Horizon oil spill. To help overcome these issues, the Gulf of Mexico’s coastal management community is intensifying its ecosystem restoration efforts. Having access to the full breadth of marine data for Gulf waters in a usable format is critical for informing local and regional decision makers charged with restoration and ecosystem management. Ocean Conservancy, a national nonprofit organization, has created a region-wide coastal and marine atlas, The Gulf of Mexico Ecosystem: A Coastal and Marine Atlas, to aid decision makers as they plan restoration and management strategies. This digital atlas, available in PDF format, contains 55 maps on a number of topics, including oceanography and benthos, habitats, invertebrates, fish, birds, sea turtles and marine mammals, environmental stressors, and human uses. Each map includes a description of the data, data compilation and mapping methods, data quality, and summaries. Important, authoritative data sets available from the Digital Coast were used in the atlas, including MarineCadastre.gov oil and gas platforms, wells, pipelines, and marine administrative boundaries; Coastal Change Analysis Program land cover data; and sea level rise inundation mapping data. The Gulf of Mexico Ecosystem: A Coastal and Marine Atlas helps the Ocean Conservancy advocate for marine restoration and ecosystem management because the document engages the public through understandable maps and narrative—and because the data are comprehensive. The atlas has been very useful during discussions about marine restoration, for example, in using the maps to identify areas of overlapping species ranges to implement restoration measures that benefit multiple species. 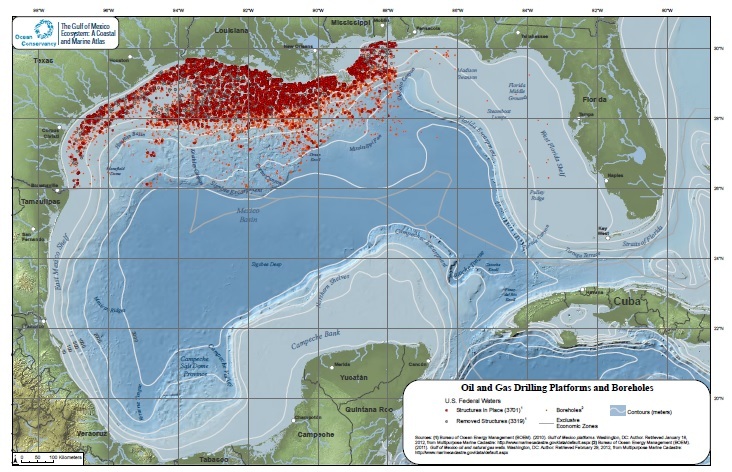 Sample atlas map showing Gulf of Mexico platforms and oil and natural gas wells.